It's nerve-wracking when you can't find your phone. Whether it's truly lost, or just stuck between the sofa cushions, Find My Phone can help lay your worry to rest. This free service can ring, lock, erase, or show your Windows 10 Mobile phone on a map. Find My Phone will allow Microsoft to save your phone's GPS location periodically so it's easier to find, even if location is off. This way if you lose your phone, or your phone gets stolen, you will be able to see it's last known location in Your devices online at Microsoft for the same Microsoft account you sign in to the phone with. Starting with Windows 10 Insider Preview Build 14316, you can ask Cortana to find your phone, regardless of device, on your PC using the new find my phone feature. The feature will allow users to locate their phone from their PC through geo-location and by having Cortana ring your phone. 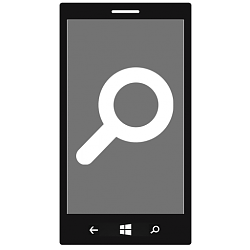 This tutorial will show you how to turn on or off Find My Phone to be able to see the last known location of your Windows 10 Mobile phone in your Microsoft account online. 3. Do step 4 (on) or step 5 (off) below for what you would like to do. B) Turn on or off Save my device's location more frequently for what you want, and go to step 6 below.